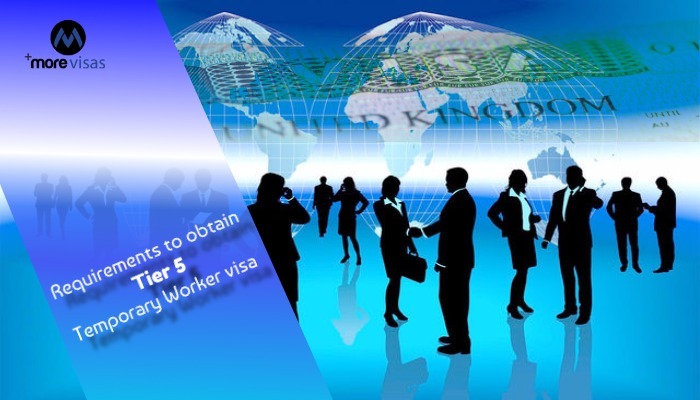 One can apply for a Tier 5 Temporary Worker – Exchange visa Authorised by Government when the intention is to visit the UK for a short duration to gain work experience or take a training. One can also opt for an Overseas Language Programme, or for doing research or fellowship approved under the Government Exchange Scheme. One also needs to have a Certificate from a licensed sponsor and meet all the conditions of eligibility. The work, research project or training in the UK must be related to the tasks performed by the sponsor organization. It can be a higher education institution/a government department/ agency. One needs to apply for a visa three months earlier than the date of commencement of work. The decision on the visa is given in three weeks. The Fees for the visa depends on where you are and how you apply. A healthcare surcharge is required to be paid with the application. The duration of stay in the UK is 12 or 24 months. One can reach the UK 14 days before the date of commencement of job. This allows the individual to study for some courses or work in the job described in the Certificate from a licensed sponsor. There is a provision to do a second job of 20 hours/week. One can also apply to change to a visa of Tier 1 Exceptional Talent. Please take note that one cannot take a permanent job or receive public funds. The Eligibility norms mention a certificate of sponsorship with the reference number from your UK sponsor. Besides, there is a £945 required, in savings as a proof of support. The certificate mentions the working hours and can be used only once. It is valid for three months from the date of issue. One can apply for extending visa before the expiry of the current visa. The Fees for persons is £825 or £235 if applied online or by post and for the dependants it is £825 or £235 if applied online or by post. Dependents can be added in the online application which can include children who reach 18 years during the stay. Biometric information must be provided which are fingerprints and a photograph. This can be given at certain Post Offices or at Premium Service Centres. One can stay in the UK after applying till a decision is given. In order to change the sponsor, one must apply again and meet all the terms and conditions of eligibility. The change of sponsor can be done within the same organization or one can move to a new organization. Savings requirement for dependents is £630 for each dependant. This is additional to the £945 required to support oneself. They also need to give their fingerprints and photograph. As regards Tier 5 the Youth Mobility Scheme visa one can apply if he/she wants to live and work in the UK for 2 years and is aged between 18 to 30 years having a savings of £1,890. One also needs to meet all the conditions of eligibility. One can apply for this visa before 6 months of intended travel. The decision is given within 3 weeks. A healthcare surcharge is required to be paid with the application. When a visa is given one can live and work in the UK for a period of 24 months. You cannot extend your stay or get public funds or bring in family members.